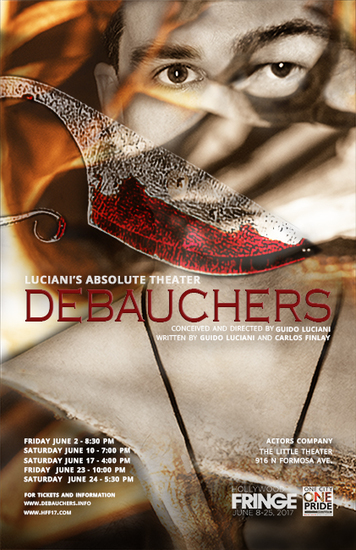 “Debauchers” is a sensory-somatic theatrical exploration of art aroused by sexuality; a celebration of life without limits. 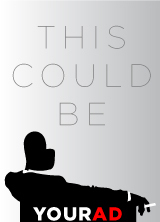 An inspiring and uninhibited exhibition of portraits of real and fictional risk-taking-individuals who kindled by their lust for life, have transcended and lived their lives to their fullest by defying morality, good-and-evil, right-and-wrong or any other socially imposed limitations. The Bare Characters: The Muse, The Artist and The Murderer represent three different stages in the transcendence process of a creative mind, perhaps The Third; a narrator-like character who acts as a totem or link between the stage plane and the audience or collective plane. Unlike the Masks, which are theatrical fabrications the three actors assume and take on throughout the play, the Bare Characters are unmasked, exposing the actors playing them rather than concealing them. This production is devised through a collaborative process between the actors and director, and reflects their own process and struggles with limitations and labels related to gender, sexual orientation: gay, straight, bisexual, etc., predisposed concepts of love, relationships and imposed concepts of morality. “DEBAUCHERS” is part of The Sensetorm Project, a multidisciplinary arts proposal in pursue of individual and collective enlightment through the sensory-somatic awakening of the creative fire and the transcending and healing powers of art. Guido Luciani is the Artistic Director of both Luciani’s Absolute Theater and The Sensetorm Project and the deviser of the Absolute Theater Technique and the Luciani’s Resonance Technique for the performing arts. NOTE TO AUDIENCE: Due to unexpected developments in the project, a new version of the play will be performed on the last two shows of the run: 6/23 and 6/24. Looking forward to sharing with you this brand new “Debauchers”. NO LATE SEATING: Please be advised that due to the layout and size of the venue, there is no late seating. Thank you for your understanding.